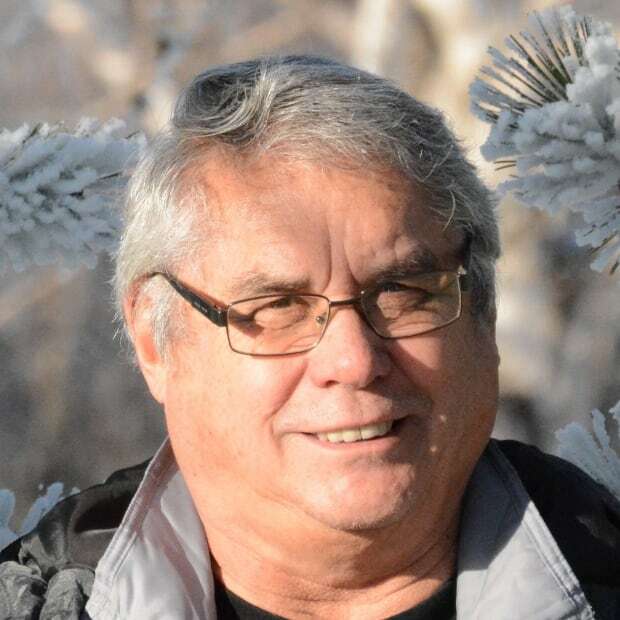 The Indigenous Peoples March in Washington was a major event to bring attention to the injustice that Indigenous Peoples face across the globe, writes Doug Cuthand. Instead the face of white privilege dominated the headlines. When I was in Grade 8 my parents moved to southern Alberta and we lived close to the Blood reserve. What followed was five years of school in a racist town. My friends included many of the students from the reserve and when a teacher pointed out that the Blackfeet were the traditional enemy of the Cree, my dad told me that we made a peace treaty long ago and that teacher should study history. Besides, my grandfather spoke Blackfoot and we had Blackfoot relatives. My grandfather and a man from the Siksika Nation adopted each other as brothers and the relationship has been respected over the generations. The white kids in our school didn't really know us. They laughed at our "funny" names, they thought drumming was primitive and we sang silly songs. To them we were cartoon characters, drunken Indians and incompetents. So when I saw the photo of the demonstration in Washington on Jan. 18 and a bunch of privileged white boys taunting a First Nations elder it triggered old feelings from my past. 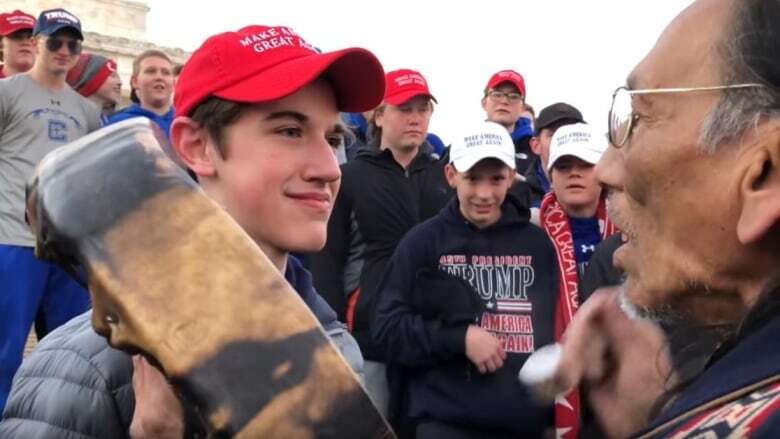 Nick Sandmann, the student who stood close to Nathan Phillips, later stated that he didn't mean to cause a confrontation. It's hard to believe that when you see the condescending smirk of white privilege. As an Indigenous person, I have seen it and I know what it stands for. The story behind the photo is a bewildering mix of three groups meeting in the same location. The boys from Covington Catholic High School were there to take part in the March for Life anti-abortion protest. They ran into a small fringe group calling themselves the "Black Hebrew Israelites" who hurled insults at passersby, including both the Covington boys and participants in the Indigenous Peoples March. Rather than ignore them, the Covington boys confronted them. Nathan Phillips, an Omaha elder and a former veteran of the U.S. Marine Corps Reserve (serving from 1972 to 1976), positioned himself between the two groups and sang the American Indian Movement honour song. Phillips' action was in response to the developing confrontation and the need to defuse it. He drew the attention of the Covington students to himself and the resulting display of white privilege was the result. Lost in the whole mess was the fact that the Indigenous Peoples March was a major event to bring attention to the injustice that Indigenous Peoples face across the globe. Instead the face of white privilege dominated the headlines. The students were wearing those now cliché hats from the Trump campaign saying "Make America Great Again." Nowadays they are a red flag for racism and intolerance. With the separation of church and state, why were students representing a Catholic school wearing these hats? The white boys were interviewed and exonerated in the eyes of the white public. It was all a horrible mistake and now they were receiving threats. The story was bent to be sympathetic to the boys. The role of the Indigenous elder and the reason Indigenous people were present was lost. Nathan Phillips, the Omaha elder, is back home, unheralded by media. Nick Sandmann and his friends have been invited to the White House. Over the years I have learned that white people are afraid of Indians and people of colour. It's fear based on racism and fear of the unknown. This whole incident raises serious questions about the future of America. The country is fractured by intolerance and racism. People of colour, including Native Americans, now stand on one side of a country polarized by race. America is most certainly not on its way to be great, if it ever was.